Hi and welcome! 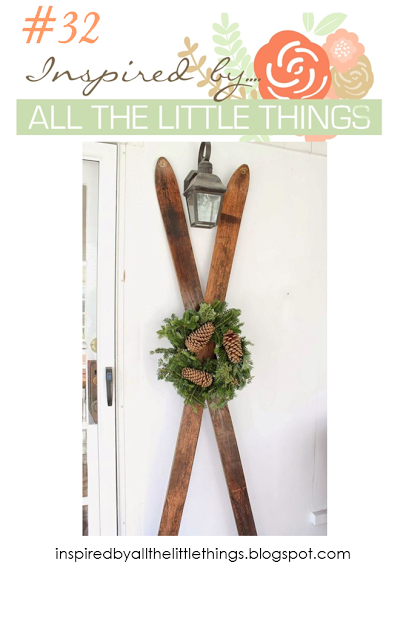 It's my turn to host the challenge at Inspired By All The Little Things this week and I've chosen a wintry/Christmassy photo to hopefully inspire you. I decided to focus on the skis in the photo and pulled out my PTI set Two Feet Deep to come up with a CAS card. My mojo appears to have deserted me of late and this is the result :) I stamped the skis and position them onto a panel I'd sponged with Broken China ink. Mounted onto foam tape was a white panel die-cut with a hill die, onto which I'd stamped the word "Christmas". 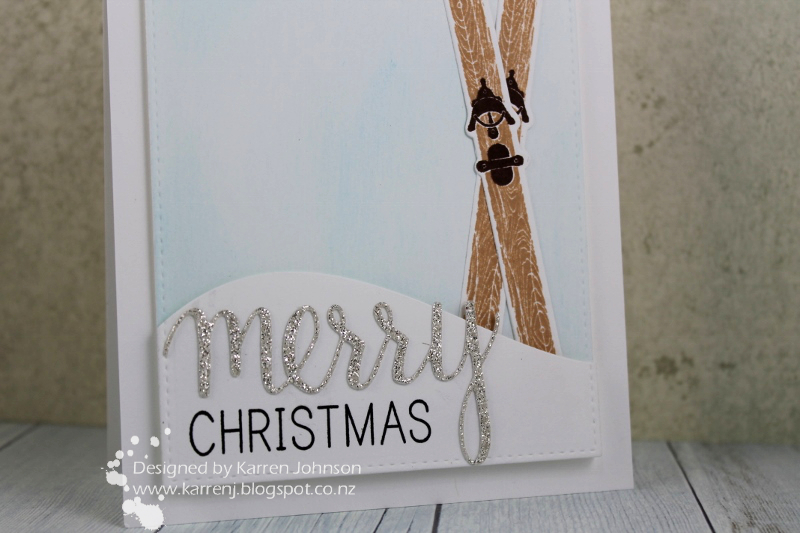 The "merry" was cut from some silver glitter paper and has a lovely sparkle. Thanks for visiting. I hope the inspiration pic inspires you and for added inspiration, check out the DT samples, as well as my special guest, Rosemary Dennis! This is perfect, Karren! Great take on the inspiration photo! That's my kind of Christmas - I love cross-country skiing. You've perfectly the crisp, cool feeling! looks perfectly lovely to me, karren!! Looks perfect petal, I reckon its hard half the time because its spring/summer here and hard to think of cold and snow ideas. You have done a brilliant job. Love that merry and the glitter too. It seems it's a perfect time to pull out that PTI set of my own, Karren! Gorgeous card!!! I love that you paired a snowy slope with the skis...a fabulous CAS design and a perfect take on the photo! This is so pretty! I love the silver sparkly 'merry'! 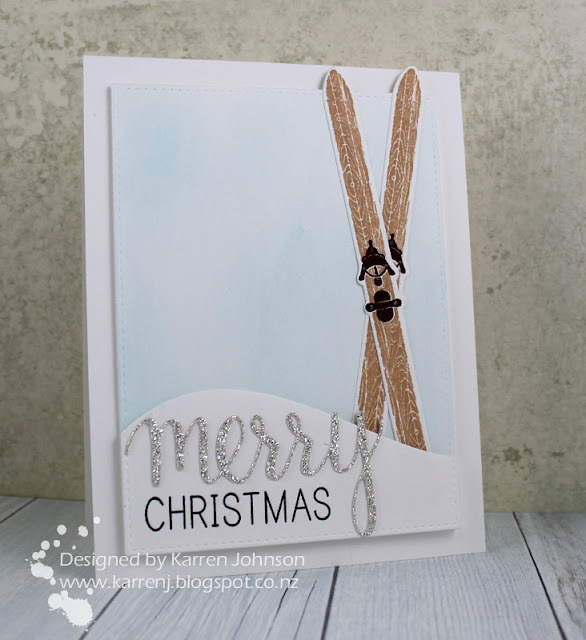 Looks like your mojo is just fine from where I sit :) I love your CAS design with those gorgeous skis and sparkly sentiment...WOW! So clean and so beautiful ! That two parts sentiment is terrific!